The Transaction is subject to the shareholder approval of both parties and further subject to additional pre-conditions required to be met prior to closing the Transaction no later than three months following the execution of a definitive agreement. TORONTO, Oct. 22, 2018 /CNW/ - FSD Pharma Inc. ("FSD Pharma" or the "Company") (CSE:HUGE.CN - News) (OTCQB:FSDDF - News) (FRA:0K9.F - News) announced today the signing of a binding letter of intent (the "LOI") to acquire Therapix Biosciences Ltd. ("Therapix Biosciences" or "Therapix") (NASDAQ:TRPX - News) effective October 22, 2018. The Transaction (the "Transaction") combines two highly-complementary businesses and creates a medical cannabis industry innovator focused on the research and development of advanced cannabinoid treatments. Therapix Biosciences shareholders will receive $48 million (USD) of FSD stock upon closing of the Transaction. The Transaction is structured at a fixed price of $48M USD ($62.4M CAD), representing approximately 130 million class B subordinate shares of FSD Pharma and nearly 10% of the Company today. The final number of class B subordinated shares and percentage ownership of the Company will fluctuate based on the 20 day average of the FSD Pharma stock closing price on the date the Transaction is finalized. The Transaction is arms' length and no finders fees have been paid. It is anticipated that the common shares of the Company will continue to be listed on the Canadian Securities Exchange (CSE) and the Frankfurt Stock Exchange (FRA), and the Company intends to apply to list on NASDAQ, subject to regulatory approvals. The terms of the LOI will be superseded by a definitive agreement, which FSD Pharma and Therapix intend to execute within 30 days. "The intended acquisition of Therapix Biosciences at this time is a pivotal step in the evolution of our company by entering the high-value medical cannabis market. In addition to growing products for the direct to consumer retail cannabis market in Canada, we are now developing a new class of novel cannabinoid-based treatments for several central nervous system disorders, including chronic pain, fibromyalgia, irritable bowel syndrome and several other disease areas. With this acquisition, FSD Pharma is signaling our commitment to furthering very high-value pharmaceutical R&D clinical programs centered on cannabinoid molecules, a number of which are actively under way at several distinguished medical institutions across the globe, including among others, the Therapix' investigator-initiated Phase IIa study at Yale University Medical Center in the U.S. for Tourette syndrome Program, the preparations for commencing anticipated subsequent Phase IIb studies at the Hannover and Munich University Medical Schools in Germany for Tourette syndrome program, and collaboration with Assuta Medical Centers in Israel to develop therapeutic products in the field of sleeping disorders. Our strategy also involves pursuing access to the international capital markets to attract high-quality, high-profile financial and strategic investors in this space who can participate in and assist with accelerating our growth plans and establishing a strong position in this area", said Dr. Raza Bokhari, Director of FSD Pharma and Chairman of the M&A committee. Ascher Shmulewitz, MD PhD, Chairman and interim CEO of Therapix, stated, "Our research at Therapix is focused on a multifaceted, clinical drug development program that is poised to potentially yield novel, breakthrough therapeutic discoveries to benefit mankind and medicine in ways we have never before seen. We are excited to join FSD Pharma to be part of one of the fastest growing, most forward-thinking companies in this sector. Our combined resources and highly competent scientific and business leadership teams, position the combined entity well to execute upon our shared vision to deliver proprietary cannabinoid platform technologies to both the professional and retail markets globally. Our proprietary technologies and active, mature clinical research programs are focused on delivering safer, more effective cannabinoid-based products that address a broad spectrum of large-market diseases with high unmet clinical needs." Professor Raphael Mechoulam, the 'Godfather of Medicinal Cannabis', who co-discovered "the entourage effect" of the endocannabinoid system, and is Chairman of the Therapix Scientific Advisory Board, commented, "I hope this proposed transaction will help unlock the full potential of the endocannabinoid system within the human body in enhancing quality of life and improving treatment outcomes." "We are very pleased to announce our intention to acquire Therapix Biosciences. Their concerted efforts to advance the scientific work of Professor Rafael Mechoulam speaks for itself. It is a huge step forward in realizing our vision and mission to become a leading global player in Cannabinoid based pharmaceuticals, medicinal Marijuana in addition to the recreational use of Cannabis" said Anthony Durkacz and Zeeshan Saeed, Co-founders and Directors of FSD Pharma. The Transaction is subject to a number of customary conditions, including, but not limited to, the negotiation and execution of relevant transaction documents, regulatory approvals, completion of satisfactory due diligence by FSD Pharma and Therapix, and approval of the Transaction by the shareholders of Therapix. Subject to the satisfaction of these conditions and other conditions precedent, the Transaction is anticipated to be completed by Q1 2019. FSD Pharma is focused on the development of the highest quality indoor grown pharmaceutical grade cannabis and on the research and development of cannabinoid therapies targeting a multitude of ailments. The Company is currently in phase 1 of its growth plans with 25,000 square feet of indoor grow space available at its Ontario facility and an additional 220,000 square feet in development with an expected completion date of January 2019. The facility sits on 72 acres of land with 40 acres primed for development and an expansion capability of up to 3,896,000 square feet. Pending approval by Health Canada, the expanded 220,000 square feet of grow space is expected to be operational in the first quarter 2019. FSD Pharma, through its wholly-owned subsidiary, FV Pharma Inc., has applied for a Pre-Sales License Inspection from Health Canada, which is the last step prior to the issuance of a Sales License under the ACMPR. 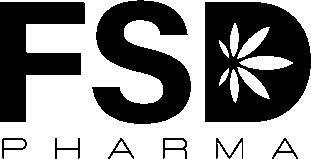 FSD Pharma through its wholly-owned subsidiary FV Pharma, is a licensed producer of marijuana under the Access to Cannabis for Medical Purposes Regulations (ACMPR) having received its cultivation license on October 13, 2017. Headquartered at the former Kraft plant in Cobourg, Ontario, approximately an hour's drive from Toronto, FV Pharma management's mission is to transform the facility into the largest hydroponic indoor cannabis facility in the world. FV Pharma intends to target all legal aspects of the cannabis industry, including cultivation, processing, manufacturing, extracts and research and development. Therapix Biosciences Ltd. is a specialty clinical-stage pharmaceutical company led by an experienced team of Senior Executives and Scientists. Our focus is creating and enhancing a portfolio of technologies and assets based on cannabinoid pharmaceuticals. With this focus, the company is currently engaged in the following drug development programs based on repurposing an FDA-approved cannabinoid: THX-110 for the treatment of CNS disorders, THX-120 for the treatment of sleep disorders and the treatment of pain; THX-130 for the treatment of Mild Cognitive Impairment (MCI) and Traumatic Brain Injury (TBI); and THX-150 for the treatment of infectious diseases. Please visit our website for more information at www.Therapixbio.com. Certain statements contained in this press release constitute forward-looking information. These statements relate to future events or future performance. The use of any of the words "could", "intend", "expect", "believe", "will", "projected", "estimated" and similar expressions and statements relating to matters that are not historical facts are intended to identify forward-looking information and are based on the Corporation's current belief or assumptions as to the outcome and timing of such future events. Actual future results may differ materially. This release contains forward-looking information relating to the acquisition of Therapix, including the execution of a definitive agreement and the completion of the proposed Transaction on the terms or within the timeframe contemplated herein, or at all, the proposed listing of the FSD Shares on the NASDAQ, the development of the Corporation's indoor cannabis facility, the commencement of operations at the expanded facility, the Corporation's ability to obtain a Sales License from Health Canada and other general business goals and objectives. The forward-looking information contained in this press release is made as of today, and the Corporation is not obligated to update or revise any forward-looking information, whether as a result of new information, future events or otherwise, except as required by applicable securities laws. Because of the risks, uncertainties and assumptions contained herein, investors should not place undue reliance on forward looking-information. The foregoing statements expressly qualify any forward-looking information contained herein.